When you think of Africa, what comes to mind? For most of us, the typical backdrop of our African fantasy mixes desert and mountain ranges, lush green jungles and vast, dry prairies. Within these stunning landscapes, one might see zebras, elephants, lions, rhinos, cheetahs, even flamingos. If this medley of geography, wildlife, and color is what you imagine Africa to be, you are envisioning Kenya. Are you ready to make your African dreams come true? 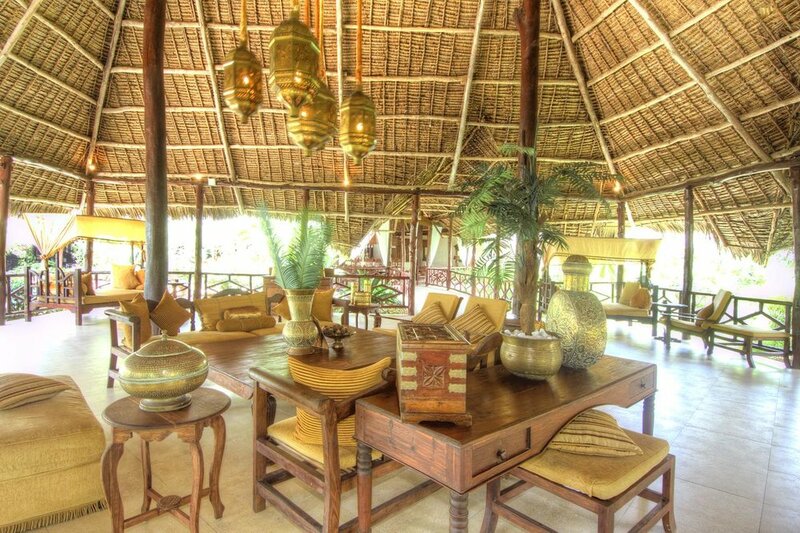 Don't miss Craft Travel's latest Safari package, Best of Kenya. This 7-day road safari, which features both traditional safari lodges and a luxury tented camp experience, contrasts the Afro-Alpine scenery of the world-famous Aberdare National Park with the starkly arid beauty of the northern Samburu district. It also showcases the renowned Masai Mara National Reserve and the glory of Lake Nakuru National Park, home to over one million flamingos. Why stop there? Consider extending your East African Adventure to include its stunning beaches. Spend 3 glorious nights at Breezes Beach Club, located on Bwejuu Beach, claimed to be one of the top beaches worldwide. Leisure the days away in the sun with dips in the turquoise ocean, or explore the island’s culture, food and history before heading home. Accommodation based on shared double and meals as stipulated in the itinerary. Transportation in a shared chauffeur driven safari vehicle with pop-up roof for easy game viewing & photography. Services of an English speaking driver-guide, game viewing drives and parks entrance fees as indicated in the itinerary. 5 or 7 pax guaranteed window seat. First-aid kit, wildlife books, a pair of binoculars, cool box & fire extinguisher. Either from your Nairobi Hotel or the Airport, you will be met by our representative who will then take you to your vehicle. this charismatic Afro-Alpine realm showcases the wild beauty of the Aberdare mountain range where elephants roam through lichen- hung forests and spectacular waterfalls plunge into churning pools. Arriving in time for lunch at The Aberdares Country Club you will later be transported (with a small overnight bag) into the exclusive sanctuary that surrounds your lodging for an evening at leisure. The Ark is secluded lodge designed to resemble Noah’s Ark, this timbered lodge is unique, not least because of the splendour of the game-watching experience around its private waterhole, which attracts large herds of elephants. Commonly described as majestic, Aberdare National Park is home to steep forested ravines and open moorlands. The park provides a habitat for elephants, black rhinos, leopards, spotted hyenas, olive baboons, and much more. Bird lovers will rejoice in the opportunity to view more than 250 species of birds, including the Jackson's Francolin, Sparrow hawks, goshawks, eagles, sunbirds and plovers. After breakfast and check out, drive north to ‘Born Free’ country where Joy and George Adamson raised Elsa the lion cub in the wild and beautiful Shaba National Reserve. Arrive in time for lunch at the luxurious Sarova Shaba Game Lodge. 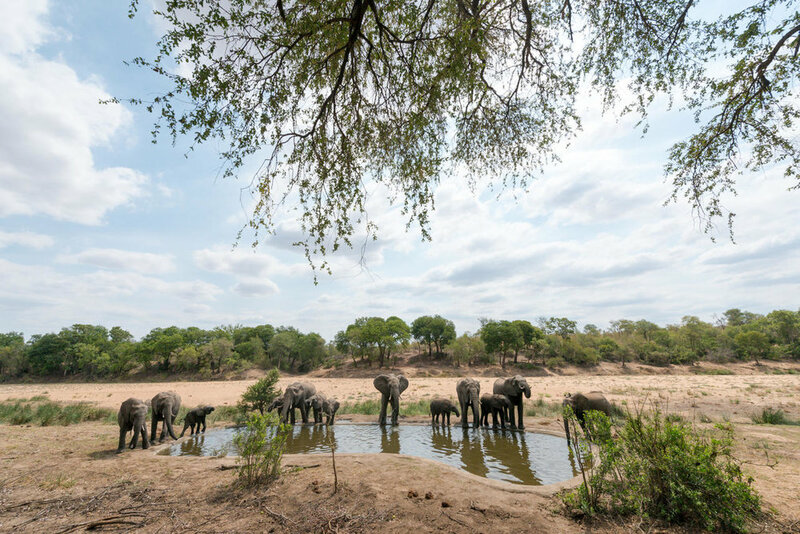 Spend the afternoon discovering the unique wildlife of the reserve, which is famous for its elephants and lions. 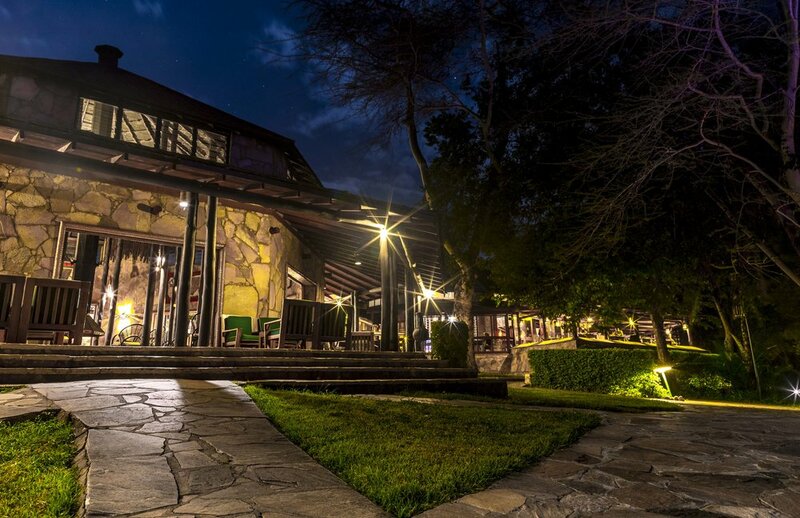 Sarova Shaba Game Lodge is located in a natural oasis in the heart of the Shaba Game Reserve just east of Samburu, or one can say, in the "Born Free Country" that Joy and George Adamson called home for many years. It is set along the bank of the Ewaso Nyiro River laid out around the natural springs that flow into the river. 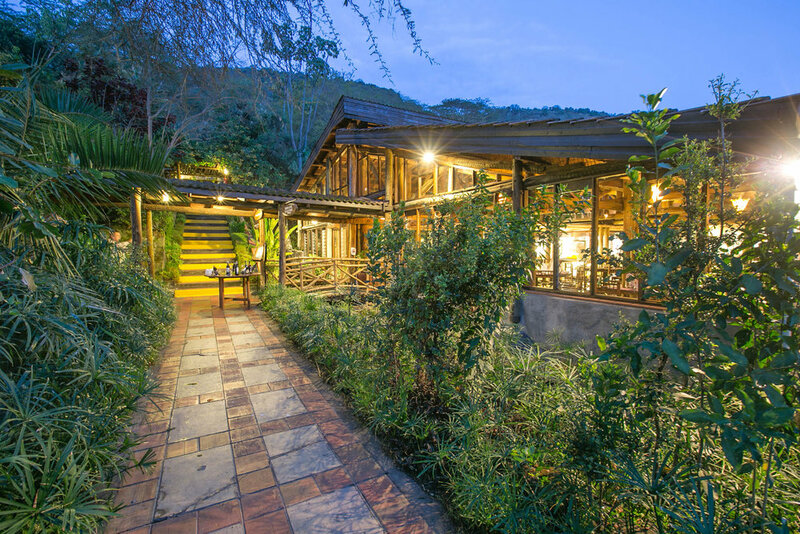 The Lodge has a virtual mini forest of indigenous trees, a fish pond and a large free form swimming pool. A peaceful reserve made famous by Joy Adamson, author of the famous book and film, 'Born Free'. Shaba, along with Samburu and Buffalo Springs are 3 small, adjoining savannah national reserves that lie on either side of the northern Ewaso Ngiro River. They were established in 1948 as the Samburu Isiolo Game Reserve. The reserve is a semi desert, but attracts a good range of animals because of the river, which acts as a lifeline, while the combination of the arid desert, volcanic rocks and riverine forests make for a very interesting landscape. Spend all day on safari (breakfast and lunch at the lodge) in the reserve, which offers sanctuary to large herds of elephants, healthy numbers of lions, leopards, cheetahs, plentiful plains game, reticulated giraffes, rare Beisa oryx, kudus and gerenuks. to a shifting population of over one million flamingos. Arrive in time for lunch at the Sarova Lion Hill Game Lodge. Spend the afternoonon safari in Kenya’s first and largest rhino sanctuary. 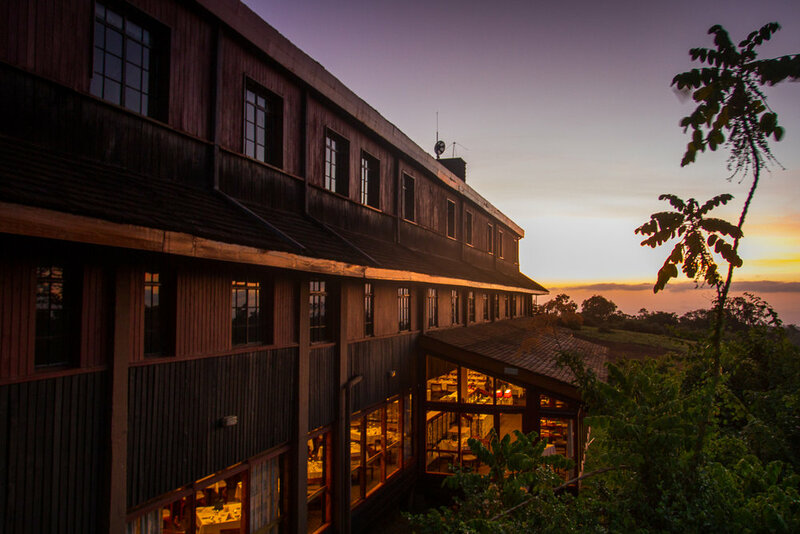 Sarova Lion Hill Game Lodge is nestled along the Lion Hill overlooking the spectacular flamingo pink rimmed Lake Nakuru. 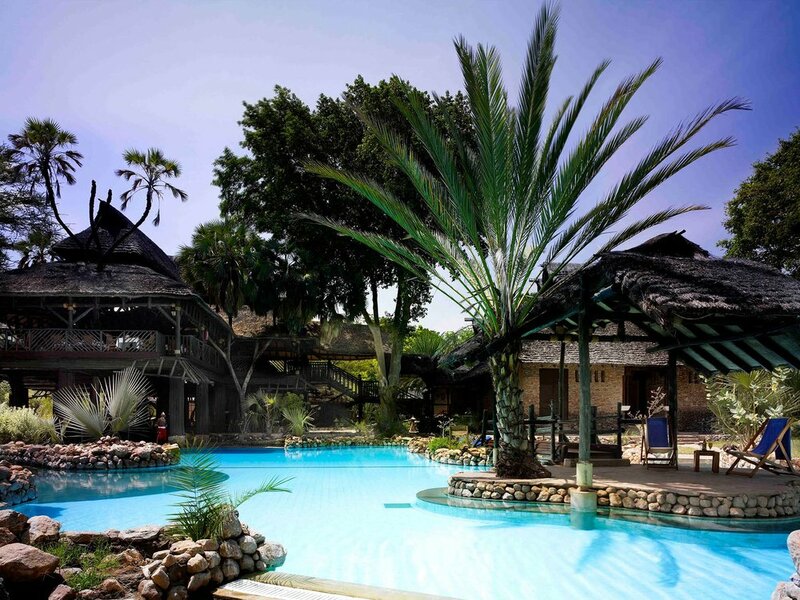 Its location affords panoramic views of the lake and the picturesque Lake Nakuru National Park. 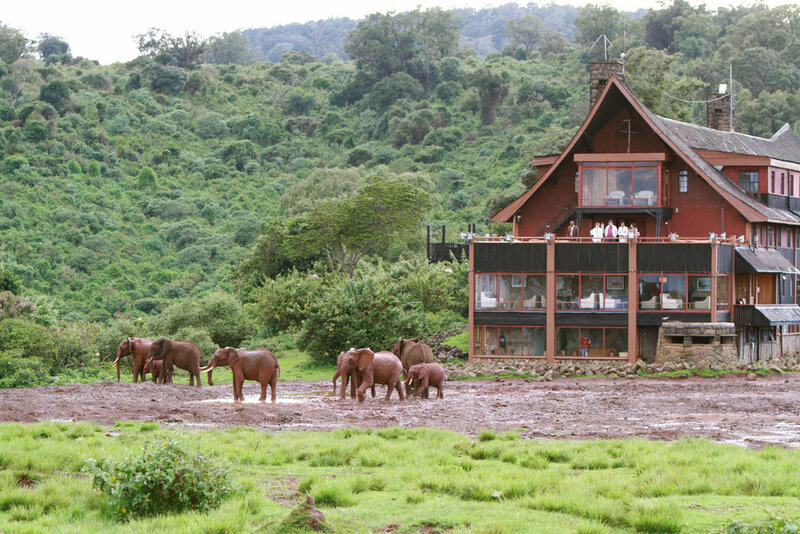 A short two-hour drive from Nairobi, Sarova Lion Hill Game Lodge is a favorite with residents and visitors to Kenya. An enormous geological fault-line, the Great Rift Valley divides Kenya neatly down the length of the country, separating east from west. Lake Naivasha and Lake Nakuru are 2 of the many lakes that have formed in the region. Along the lengths of the Rift Valley are volcanoes, most now dormant. Lake Nakuru has become a national park and supports a wide ecological diversity. It is home to large protected flocks of lesser flamingoes, which turn the lake a vivid pink. It is also famous for it pelicans, black and white rhino, colobus monkeys, as well as, numerous antelopes, buffalo and giraffe. After breakfast, drive to the world-famous Masai Mara National Reserve, backdrop to ‘the greatest wildlife spectacle on earth’, the annual migration of over one million wildebeest. Arrive in time for lunch at the Sarova Mara Game Camp, a luxury tented camp, before spending the afternoon on safari in Kenya’s most popular reserve. Sarova Mara Game Camp is set amongst rolling plains teeming with wildebeest, gazelles and zebras during the migration months. The camp is situated right in the center of their migration path. A wildlife safari puts you right in the middle of all this action. Get a first-hand account of this epic phenomenon and live to tell the tale. A safari also helps you acquaint yourself with the landscapes of this beautiful African setting. 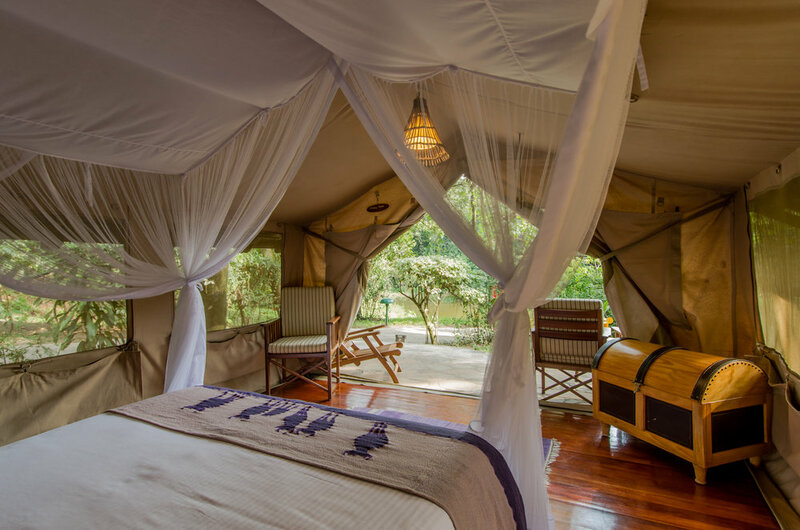 By virtue of its location and layout, the camp offers an unparalleled plethora of activities and experiences from luxury tented living to bird-watching, mini golf, sport fishing and a unique insight into the Maasai culture at the adjoining Maasai village. Located in the south western part of Kenya, the Masai Mara National Reserve forms part of the greater eco-system that encompasses the Serengeti National Park in Tanzania. The Masai Mara is named for the Maasai people and the Mara River, which divides it. The wildlife is not confined within the reserve's boundaries. The reserve is famous for its exceptional population of game and the migration of the wildebeest, which occurs here every year in July and August. The entire area of the park is nestled within the enormous Great Rift Valley. The Masai Mara consists of open savannah, rolling grasslands and undulating hills. Spend the whole day on safari in Africa’s richest wildlife viewing arena. 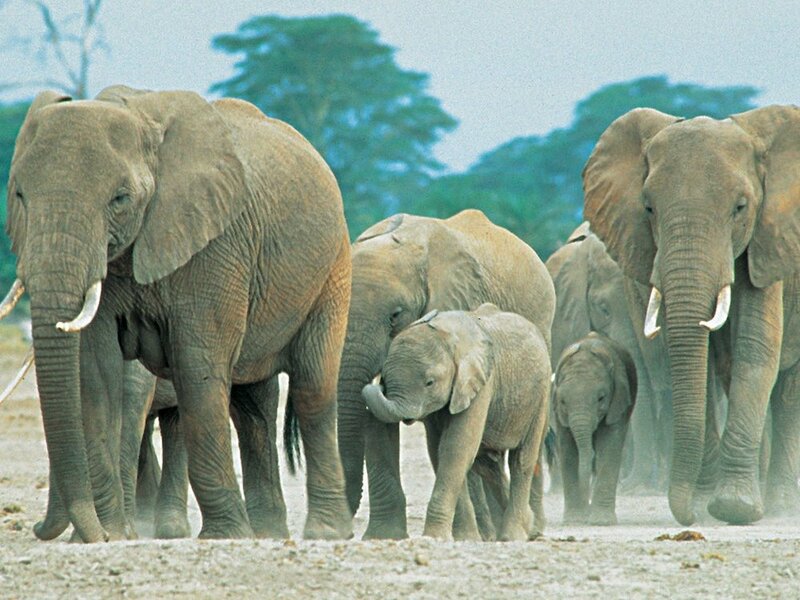 Historically teeming withwildlife, the Mara hosts Kenya’s largest lion prides and elephant herds. Spend the evening in camp where Maasai dance performances are offered nightly. After breakfast and check out, your safari adventure will come to an end. Drive back down the Great Rift Valley to Nairobi where you will board your departure flight home. 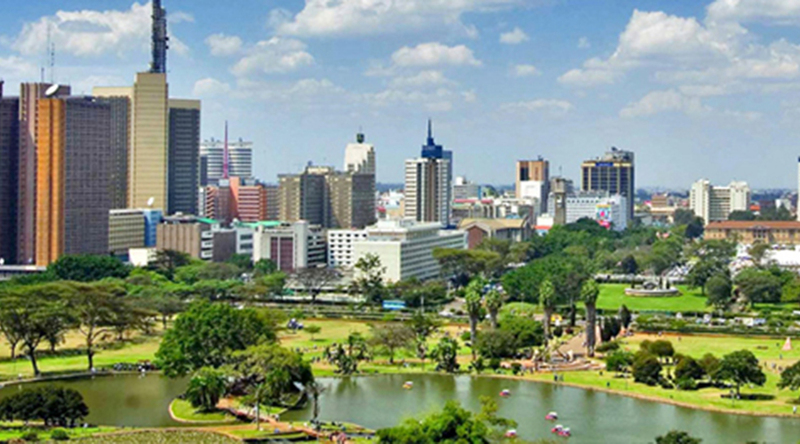 (Flights to Nairobi are available at an additional cost). Not quite finished exploring East Africa? Want to take advantage of this incredible destination by checking out its stunning coastline? 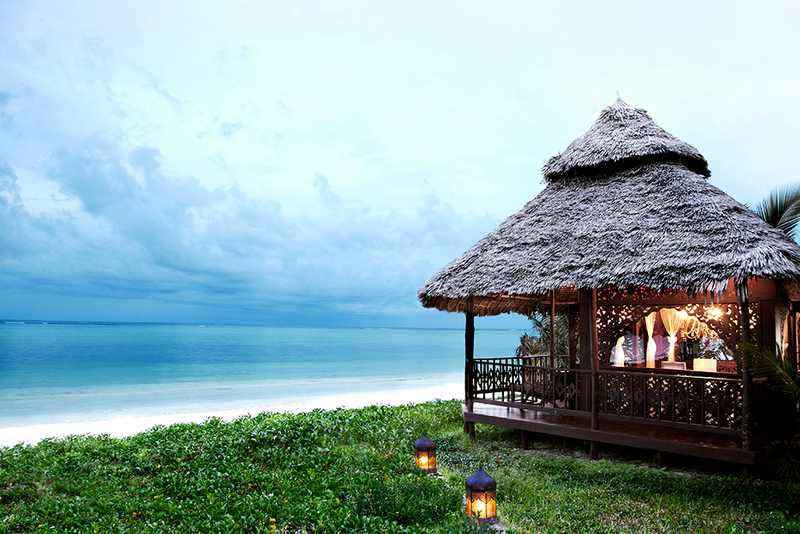 Why not consider an extension to the marvelous archipelago of Zanzibar! Instead of flying home, divert east to enjoy 3 nights at Breezes Beach Club. The afternoon and evening are yours to relax and reflect. 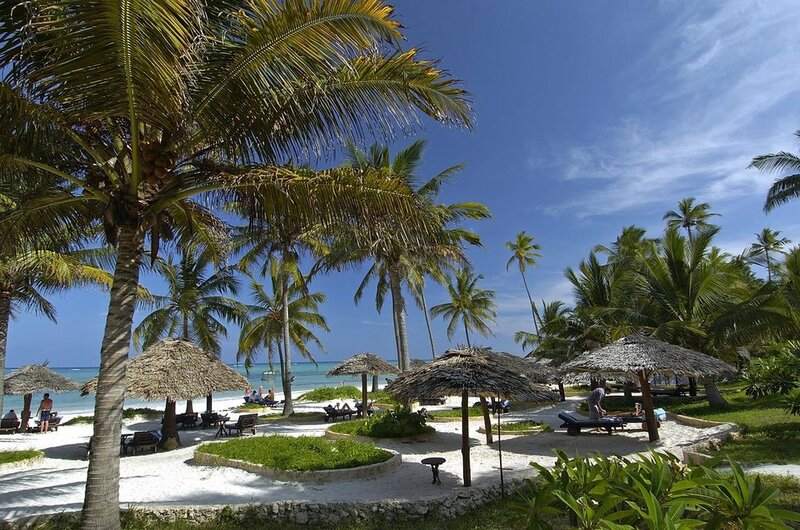 Breezes Beach Club Zanzibar ® is an ideal choice for those in search of a romantic getaway. 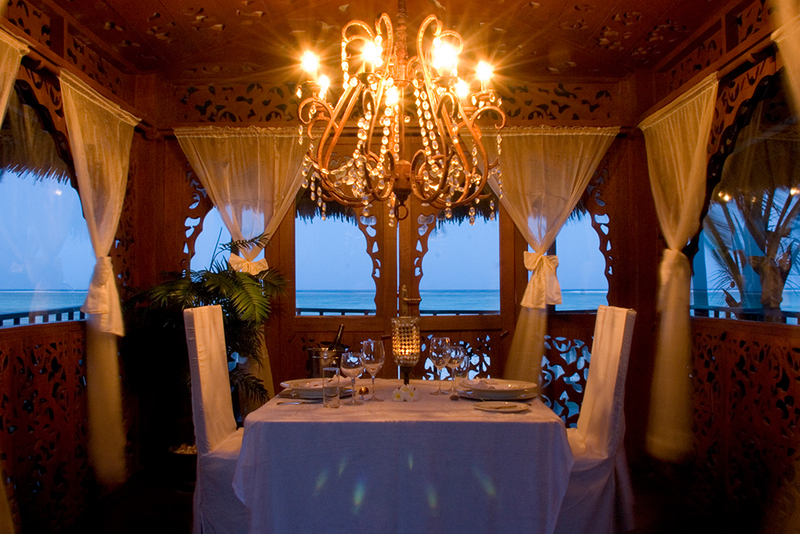 Famous for its attention to detail, intimate and private dining, its beautiful Zanzibari decor with stunning carving, glistening brass and rich fabrics creates an elegant and unique atmosphere. Breezes features the award winning Frangipani Spa. Breezes lies along a pristine and untouched beach on the South East coast of Zanzibar island, which is the most quiet and untouched part of the Island chosen by the reputable Conde Nast Traveler magazine as one of the top 30 beaches in the world. For centuries the island of Zanzibar has evoked a mystical and magical dream. There is no better place to experience and enjoy the fantastic setting, beautiful beach and our friendly staff. Wake up this morning at your leisure. Have an enjoyable breakfast overlooking the turquoise ocean that laps against one of the top beaches in the world. Spend the day lounging in the pool or on the beach. The next few days are at your leisure to explore, relax, swim and immerse yourself in the moment. 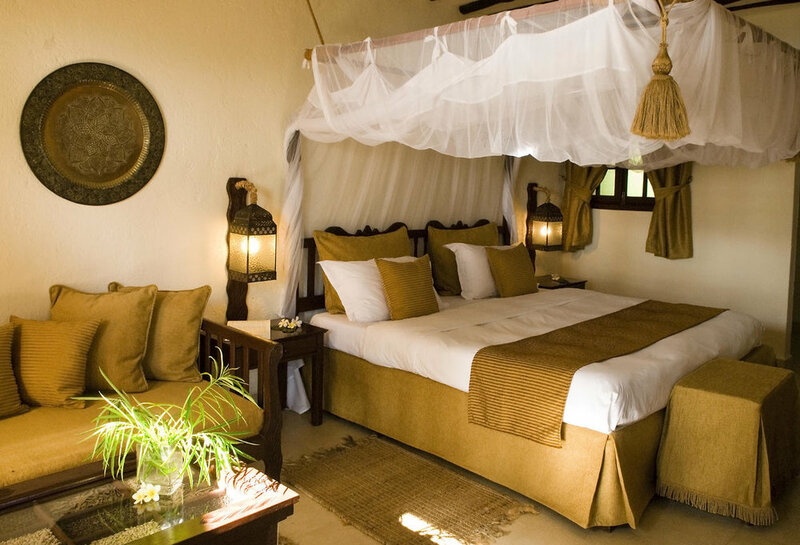 Perhaps visit Stone Town, go diving or snorkeling, swim in the pool or ocean, and indulge in the spa on property. Perhaps join in on a class “under the Palm trees” featuring Mwalimu (teacher) giving Swahili classes and lessons on the History of Zanzibar. Guests can learn Palm weaving on the beach. Cooking classes are organized regularly where guests learn to prepare some classical Swahili dishes with our excellent chefs who talk about the local spices and their use and importance. Enjoy a final breakfast in paradise. Your driver will be waiting for you to check out for your transfer to the local airport, where you will start your journey home via Nairobi International Airport. **2019 Safari rates starting at $2,169 through $3,033 per person, according to date of travel. Please inquire with travel representative for details. ***2019 Breezes Beach Club Zanzibar rates starting at $465 through $1,050 per person, according to date of travel. Please inquire with travel representative for details.